I read in IL about The Isla de la Plata being a mini galapagos. How far is the town of Puerto Lopez from Salinas? This is the Poor man's Galapago. Any comments? Thanks. 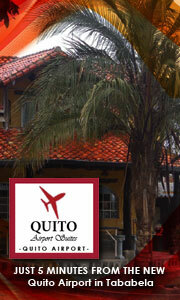 We will be traveling to Salinas, Manta, Quito, Cuenca, Banos, Vilacamba, What clothing should we bring. 2. Is malaria real prevalent? 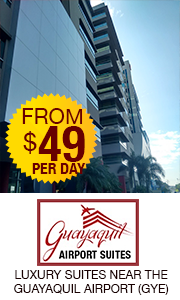 What is the cost of car rental from Quayaquil for 2 wks? Do you need a International Driver's License to drive in Ecuador? Reputible English-speaking realtors in Salinas. Happy may have answered this, but my computer has not been nice and lost a lot of info. Thank you. martib has not answered any questions.